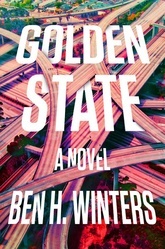 In the Golden State, knowingly contradicting the truth is the greatest crime—and stopping those crimes is Laz's job. To monitor, verify, and enforce the truth requires a veritable panopticon of surveillance and recording. And when those in control of the facts twist them for nefarious means, the Speculators are the only ones with the power to fight back.